Learning with and from each other. 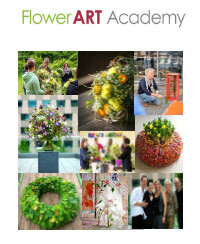 Floristry – goldsmiths – Photography painting. The philosophy of our holistic concept of education is based on the enrichment of classical floristic seminars with different interdisciplinary design elements from the fields of photography, sculpture, painting etc. As a dualistic school our focus is based on education by developing creativity and awareness in dealing with flowers and plants, as well as encouraging these skills. Moreover, we offer enhanced educational opportunities, which are regularly monitored. Learning opportunities are enriched by our international seminars.